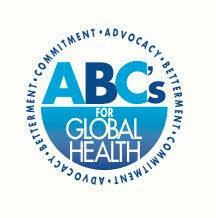 ABC’s for Global Health is a non-profit organization dedicated to finding practical solutions to health problems of disadvantaged and underserved communities. ​ABC’s for Global Health was created in 2009 to address several areas of need learned while doing medical missions to the Philippines. These areas of need may be generalizable to the underserved globally. We saw gaps in long-term care, such as lack of follow-up, preventative health, health education, and research. Additionally, the complications and economic burden of these chronic non-communicable diseases threaten the already limited resources of families, individuals, and governments. ABC’s for Global Health major platforms seek to address these gaps in care. Our belief is that prevention and education are as important as treatment, and we collaborate with communities, government, and the private sector to serve our patients. With the mobile clinics, we also have the opportunity to engage and learn from the people we serve and integrate their values, beliefs, and practices. By leveraging our mobile clinic outreach and technology such as telemedicine, we can reach our patients in their own communities. With our electronic medical records, we can gather data to evaluate the cost-effectiveness and outcomes of various interventions. Leverage mobile clinics and technology to provide effective, efficient, and cost-saving medical services. Empower individuals to prevent and manage diseases and their complications through education, screening, and treatment. Train students, health professionals, and volunteers to give back and serve the health needs of communities. Conduct research on chronic non-communicable diseases to improve interventions and impact. Everyone has something to contribute to programs that will provide access to quality health care. Inclusion, Diversity, and Equity guide relationships with people and communities. Community health care knowledge, values, and priorities should be respected. Communities should participate in the design and delivery of health care services. Collaboration is necessary for success and sustainability. Our work focuses on community-centered education. We engage the community to help drive our educational programs with sensitivity to their culture, attitudes, and beliefs. Our work emphasizes the continuity of care. We have a continuous presence in the communities we serve through our mobile clinic. We also utilize additional mobile technology like telemedicine and SMS messaging to expand our reach even further. Our work is about partnerships and collaboration. We partner with communities, universities, local government, and other public entities to ensure the sustainability of our programs. Our work involves the sustainable transformation of health care delivery by evaluating the cost-effectiveness of interventions and measuring outcomes data.